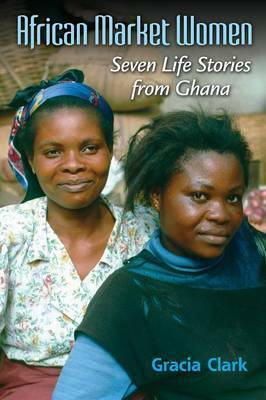 In these lively life stories, women market traders from Ghana comment on changing social and economic times and on reasons for their prosperity or decline in fortunes. Gracia Clark shows that market women are intimately connected with economic policy on a global scale. Many work at the intersection of sophisticated networks of transnational commerce and migration. They have dramatic memories of independence and the growth of their new nation, including political rivalries, price controls, and violent raids on the market. The experiences of these women give substance to their reflections on globalization, capital accumulation, colonialism, technological change, environmental degradation, teenage pregnancy, marriage, children, changing gender roles, and spirituality. Clark's commentary illuminates the complex historical and cultural setting of these deeply revealing lives. Gracia Clark is Associate Professor of Anthropology at Indiana University Bloomington. She is author of Onions Are My Husband: Survival and Accumulation by West African Market Women and has edited several volumes dealing with gender and economic life in West Africa.